Mina V. Esguerra has this handy guide up on Wattpad, Advice for Writers, that I think any writer, published or not, mainstream or indie, should read. She’s posted a lot about copyright both on Wattpad and on her Facebook account, and a lot of it makes sense. Lots of young writers being approached by mainstream publishers have questions on copyright too, so I wanted to share my experience and what I’ve learned. My first chick lit book was published by a mainstream published in 2006. I was just 24 then and tremendously excited! For the past six months I’d been sending (through snail mail! Hindi pa masyadong gumagamit ng email yung mga publishers noon if you can believe it) my prospectus — a letter introducing myself and a synopsis of the book, the first chapter, and the super famous Self Adresses Stamped Envelope (SASE. God do you remember this time??) Anyway, I got about three interested replies out of the 12 prospects I’d sent out, and the only one that panned out was with this publisher. I went to their office for the meeting. The publisher was enthusiastic and was very confident about my book’s chances in the market. I was just too happy to sit still. And then he showed me the publisher’s contract to sign. 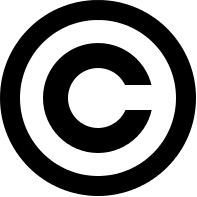 There was a paragraph there explaining that while I retained the copyright to my work (as the creator of the work, the copyright automatically resides with me), the publisher retained all the rights to publish the work in any form: print, online, adpated for stage or screen or radio, etc. The publisher explained that my rights were still mine, and this paragraph in the contract was just for their protection, so that if in two years or so I would not take this same book and ask a competitor to publish it. I was a little worried about that, but hey. I was on the verge of being published! I would see my name in a bookstore shelf! My dream would come true, so I just swallowed my worries and signed away. I signed with the expectation that 1.) I would be getting royalties from the sales of my books 2.) that my publisher would exhaust all means of marketing my books and thereby drumming up those sales and 3.) that the publisher would actively look for avenues of expanding my market, like looking into TV or adaptations. Now I know that in other countries my expectations are usually pushed by an agent. Of course, none of us writers (that I’m aware of at least) know of this mythical creature. Over the course of four years this publisher published three more of my books — four in total. Of marketing pushes, they had a mass book launch at a college campus for my first two books, put up links to three of my books to their online store, and participated in book fairs. Media coverage, social media promotion? Done by myself and my friends. Royalties? Advanced from the signing fee paid to me. I earned 8 pesos from every book, meaning I would need to sell THOUSANDS of them to be able to make up the advance and start earning. But I only started to be really worried in 2010, when I finished my fourth book. I asked them to take a look at the manuscript, and they returned with a less-than-supportive “Yeah sure. I guess we can publish it.” When the fourth book came out — the conclusion to the trilogy I began in 2006 — it was not even posted on their online store. Readers would message me asking where to find it. I would come across posts wondering if the trilogy was ever completed. (It was!) Aside from my efforts to post and share about this book, it came and went on the market with hardly anyone knowing. And this was when I started to regret signing my rights away. Because now the publisher had the rights to all my books, but was not willing to print them, and my readers had no way of getting them. For years I wondered what to do. A part of me would think, “Let it go. I wrote those books years ago. They’re dated. No one will want to read them anymore.” Another part would answer, “I worked hard for those books. I poured my heart into writing them. Maybe there are 10 people who might still want to read them, but can’t. I feel like they’re being held hostage, and it doesn’t feel right.” For a time I didn’t even want to write anymore. After I self-published Well Played last year, that was when I realized that there might be a future for my four old books online. So I wrote to my publisher, asking for a meeting. I asked for a report of my sales to-date and outlined that I would like to request my rights returned to me. They haven’t replied, and we haven’t had our meeting yet. 1. Publishing is a business, and like any business, it’s concern is profit. When something isn’t profitable anymore, they switch to another product line…which is exactly what is happening to my publisher, and a lot of mainstream publishers too. Hindi na uso o benta yung chick lit na twentysomethings ang protagonist. Therefore, hindi na nila ito aaksayahan ng panahon. 3. I wish I held on to some of the publishing rights and hadn’t surrenedered ALL of them. Even if I thought at the time that seeing my book adapted for TV or sold online was a long shot. It just goes to show: you can never tell what the future will bring. 4. I wish I requested for an expiration date for the rights — like, if in 10 years these books are no longer printed I get the publishing rights back. Because now I have nothing, and they hold the rights to my books — books that in their own admission they don’t even want anymore — FOREVER. Legally. 5. I wish I’d made clear what my expectations were as to what my publisher could do to help sell the book, instead of holding on to those expectations as the fair trade for my rights. Siguro naman aalagaan nila yung gawa ko — was not true at all. So now what? I don’t know. Maybe I’ll write to them again and hope they’ll give the rights to me, because God knows I don’t have the means or the time to take this to court. Maybe I’ll just lose those books forever. Ganun eh. I just hope you don’t make the same mistakes I did. I’m so sorry to hear this happened to you and others. Like Marian says, it’s better now that you’re an indie and keep your own rights.